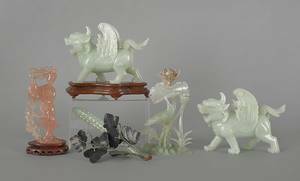 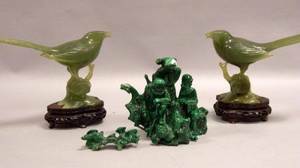 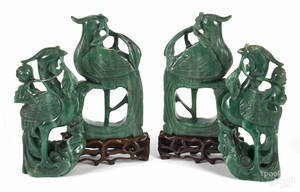 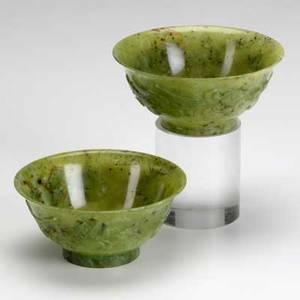 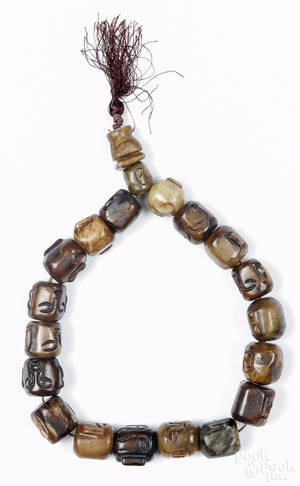 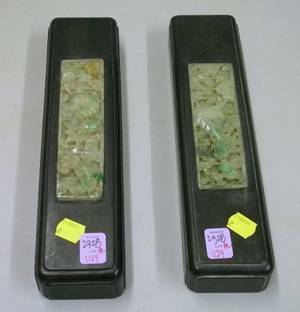 Pair of Chinese carved light green (with spinach green flecks) jade elephants depicted with ears back and trunks raised. 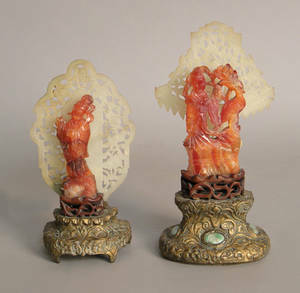 Carvings unmarked and raised on carved and fitted wood stands. 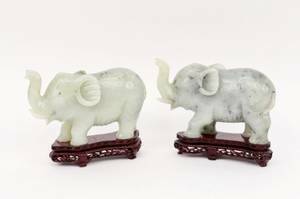 Jade elephant approximate height 4.9", width 7", depth 2.5". 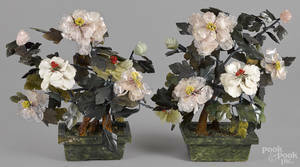 Height on stand 6.6".